We spend hours looking for that perfect piece because they not only make a statement, but they also have to do with ergonomics and fit well with the rest of the décor. You can never get enough of this versatile, resourceful and all time favourite furniture piece - Chair. But did you know how these once elaborate, opulent and bulky designs became apartment friendly and modern? Read below to find out. During most of the human evolution, we did not do as much sitting as we do today. Even if humans sat, they did so on the bare ground or on objects like tree stumps, rocks etc. Obviously, these early forms of seating had their limitations but these humble beginnings marked the starting point of the chair’s history. The word chair derived from a Latin term, ‘cathedra’, relating to the seat of a bishop as a cathedral. 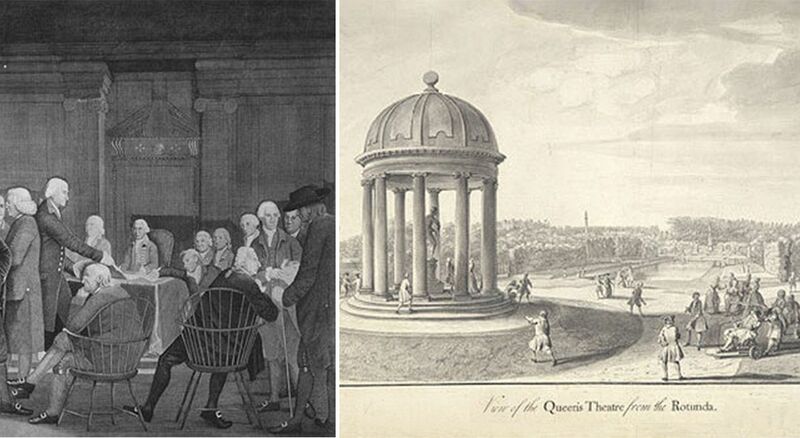 Hence medieval chairs, both religious and secular, were large framed affairs often with linenfold panels accompanied with canopies that were placed on a dais to further emphasize the importance of the occupant. The box-like construction of these frame and panel chairs became lighter with time. 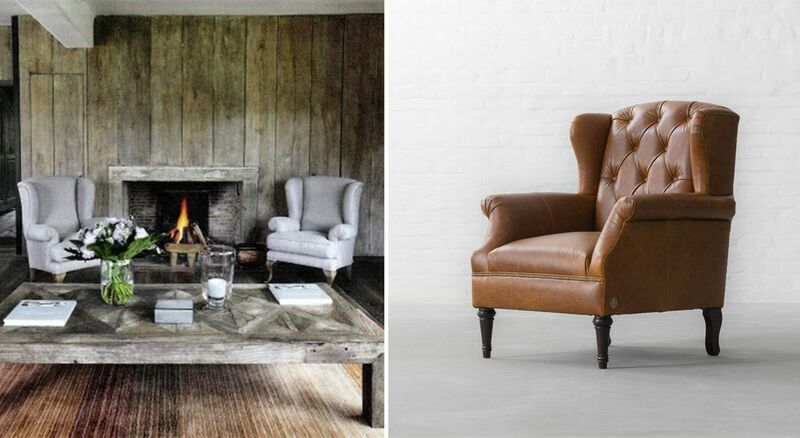 And soon after the distress of World War II, people longed for a warmer and organic aesthetic of earthy colours and use of natural materials like wood. 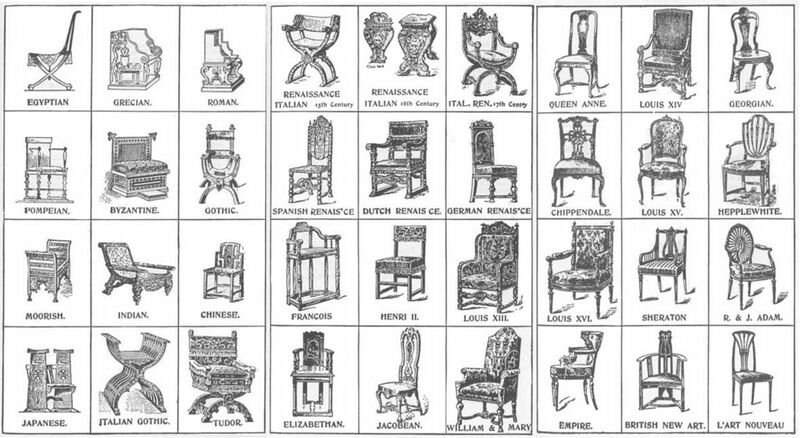 Credited with having developed the first truly lightweight and comfortable chairs, French are credited with developing a whole class of upholstered chairs, including sleeping chairs, armchairs, wing chairs, and a variety of others characterized by seat heights, such as slipper chairs and lounge chairs. While the chair designs were evolving all around the world, various country styles evolved and remain popular, such as the classic Windsor chair, which originated in Britain and was brought to a peak in America. 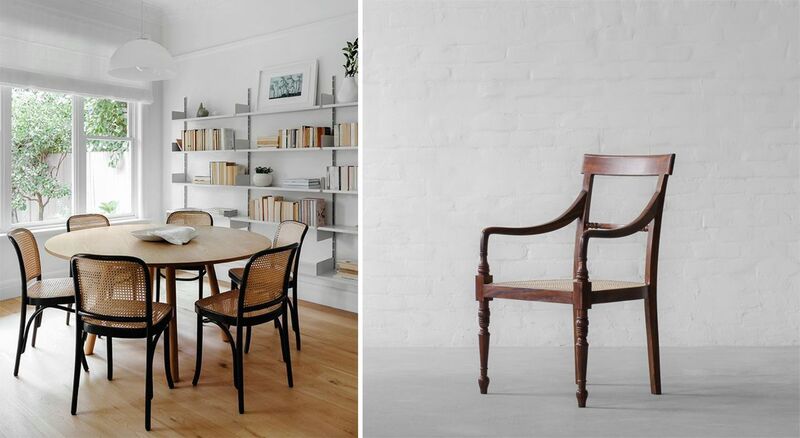 Windsor chairs are identified with their wooden seating in which both the back and sides consist of multiple thin, turned spindles that are attached to a solid, sculpted seat. It has straight legs that splay outward, and its back reclines slightly. Image Credits: drawing by Jacques Rigaud(from The Metropolitan Museum of Art). | Edward Savage (from the Library of Congress). 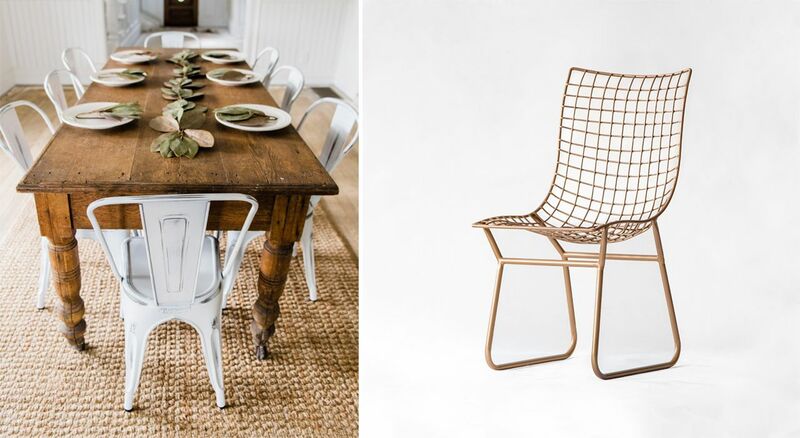 Today in the 21st century, we see an increased use of technology and new materials to create chairs that reflects the owner’s style and personality and here is how you can stamp your style in décor using different chairs. 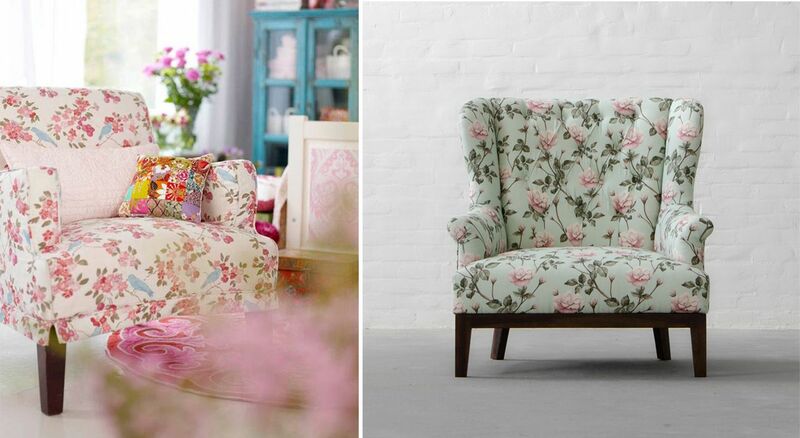 Uplifting and bright, floral chairs are bound to lighten up the space. With plush upholstery, padded seats and comfortable armrests, these ensembles are perfect for a living room or in a corner of the bedroom. From large motifs to scattered vines, you can choose the floral print that complements your mood. Perfect for a day in sun or to enjoy meals at makeshift dinning spaces, metal chairs are super convenient to move and easy to maintain. Moreover, they come in a variety of hues, both quirky and classic, to effortlessly blend in your décor. A timeless classic due to its subtlety and simplicity, Wooden and Rattan chairs provide endless opportunities to mix and match vintage and modern aesthetics. They can easily be paired with other looks to create a mixture of seating options in the family room. Also, since these are not upholstered, they tend not to be very high maintenance. 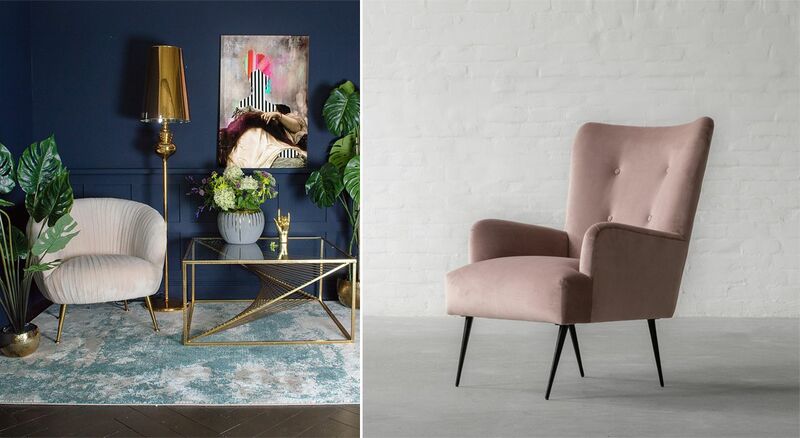 While the gold finished stainless steel frame will accentuate the glam style, the jewel-toned colours of the velvet will add charm to your home. Making for a great standalone, this style is best suited for those looking for a touch of modern regal in their abodes. So, let's begin 2019 on a comfortable note with latest seating collections from Gulmohar Lane!